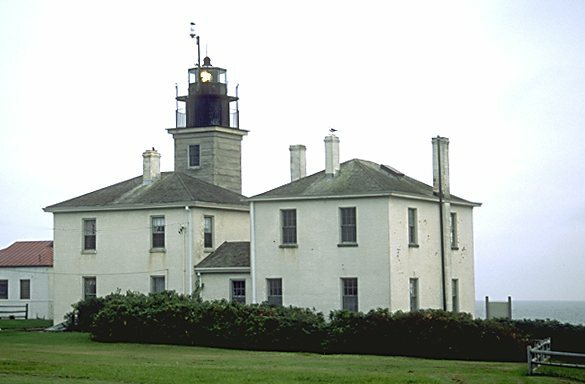 Down at the tip of Conanicut Island in Beavertail State Park is the site of America's third lighthouse, and the first in Rhode Island, dating from 1749. The original tower burned a few years later, and was replaced with a stone tower in 1753. Beavertail was important as a guide to shipping traffic bound for Newport, which was one of the busiest ports in the colonies. The current square granite tower was built in 1856, and is similar to Watch Hill, which was built at about the same time. A fourth order lens flashes a white signal.